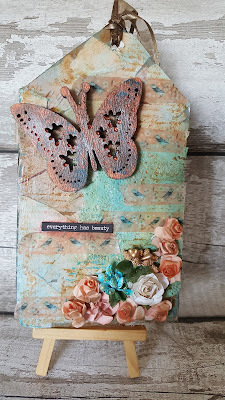 Hello everyone, I made this tag today which I really enjoyed doing. I love to play with all my mixed media products. I always have an image of the finished project and feel very happy when I am satisfied with it. Hope you like it. Please would you watch my tutorial on my you tube channel, I would be very grateful.